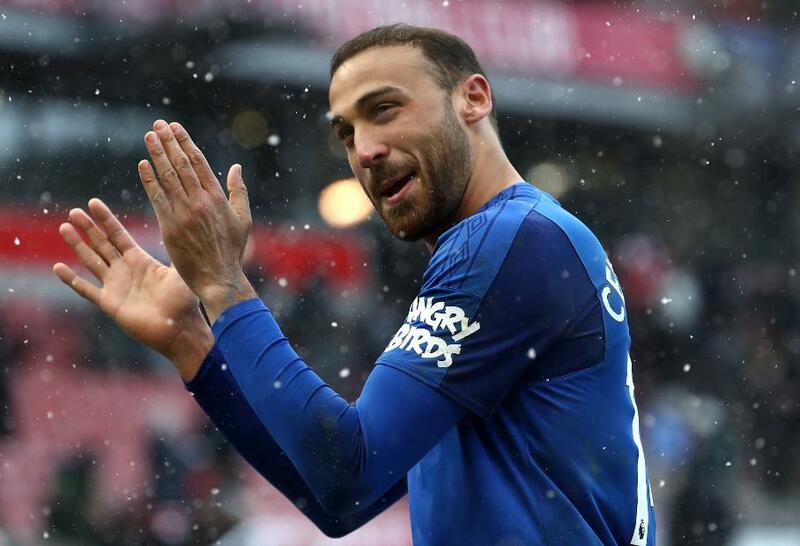 Cenk Tosun scored twice as Everton claimed only their second Premier League away win this season, beating Stoke City 2-1 at the bet365 Stadium. Stoke were reduced to 10 men on the half-hour as Charlie Adam was sent off for a reckless challenge on Wayne Rooney. Tosun scored his first of the afternoon on 69 minutes, reacting quickest after Michael Keane's effort had been blocked. Stoke substitute Eric Maxim Choupo-Moting equalised on 77 minutes, poking the ball home from a free-kick. But, seven minutes later, Tosun headed in Theo Walcott's cross to claim the points. Everton stay ninth with 40 points, while Stoke remain 19th on 27 points, four from safety.